Your users can follow each other, just like twitter with this addon. When activated, this addon creates two tabs in User Profile. Followers – List of users who follows the current profile user. 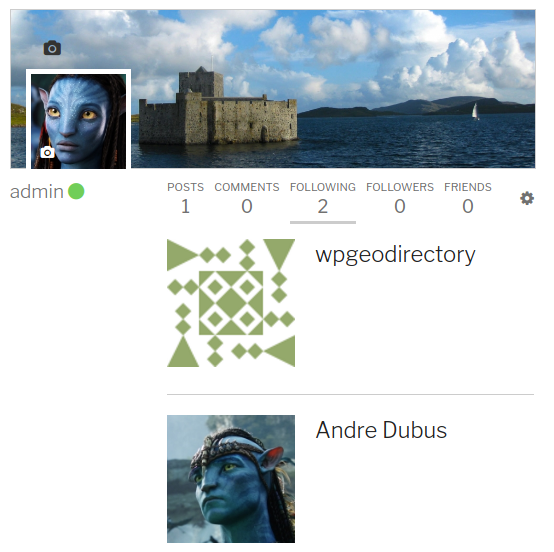 Following – List of users followed by the current profile user. At the moment it shows who’s following you and who you are following only. We’ll definitely improve it with notifications in the future.